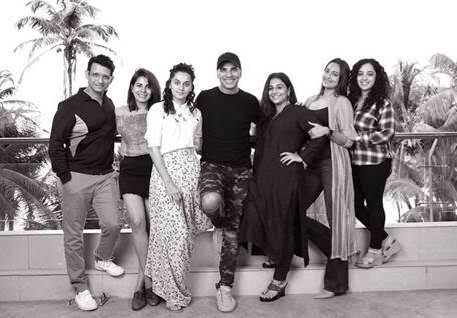 An all star cast including Akshay Kumar, Vidya Balan and Sonakshi Sinha will soon begin their journey of shooting Mission Mangal. The film, which also stars Taapsee Pannu, Sonakshi Sinha, Taapsee Pannu, Nithya Menen and Sharman Joshi is the story of India’s Mars Mission. Co-produced by Akshay Kumar’s production house Cape of Good Films, R Balki and Fox Star Studios, the film, directed by Jagan Shakti, is set to begin shooting later this month. Watch this space for more about this exciting new project!